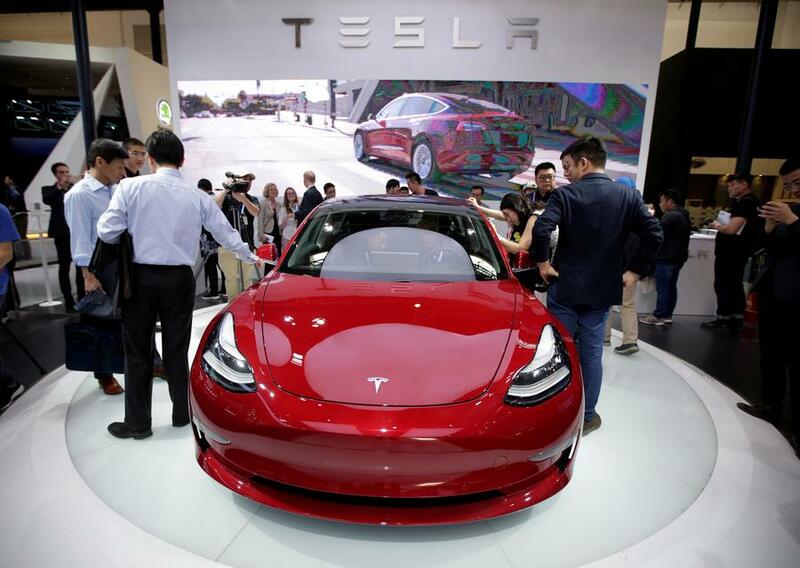 Tesla has set up a financial leasing company in Shanghai, with registered capital of $30 million, a latest move in its efforts to advance its push in the world's largest auto market, 21st Century Business Herald reported. The new company was registered in the Shanghai Free Trade Zone on December 19. Zhu Xiaotong is the legal representative and chairman, according to a filing from China's National Enterprise Credit Information Publicity System. The company, whose sole shareholder is Tesla Motors HK Limited, will offer financial leasing services and support of new energy and related products. Tesla Motors HK was established in April 2010, with core business of automotive sales. By the end of 2017, it posted revenue of HK$2.4 billion, with total assets of HK$4 billion. Tesla is the first foreign carmaker to be granted approval to establish a wholly owned plant in China as the nation opens its automotive industry wider to the world. In July, Tesla CEO Elon Musk signed an agreement in Shanghai to open Tesla's "Gigafactory 3" in the city, with the capacity to produce 500,000 electric vehicles a year, which is also the first of its kind outside the United States. In October, Tesla announced that it obtained a 1,300 mu (866,667 square meters) land for 973 million yuan for the facility. Two months later, the Shanghai municipal government said in a WeChat post that Tesla will start partial production in China in the second half of next year. California-based Tesla made a net profit of $311.5 million during the three months ending in September, swinging from a loss of $619 million at the same time last year. Over the last two months, Tesla has cut prices of some models in China for three times. According to Tesla's Chinese website, the starting prices of a Models 3 in China now is 499,000 yuan.